SAN ANTONIO - The San Antonio Missions are excited to announce that Eli Young Band will be performing at Wolff Stadium for the H-E-B Fourth of July Extravaganza presented by Budweiser, Twin Peaks and Grunt Style. 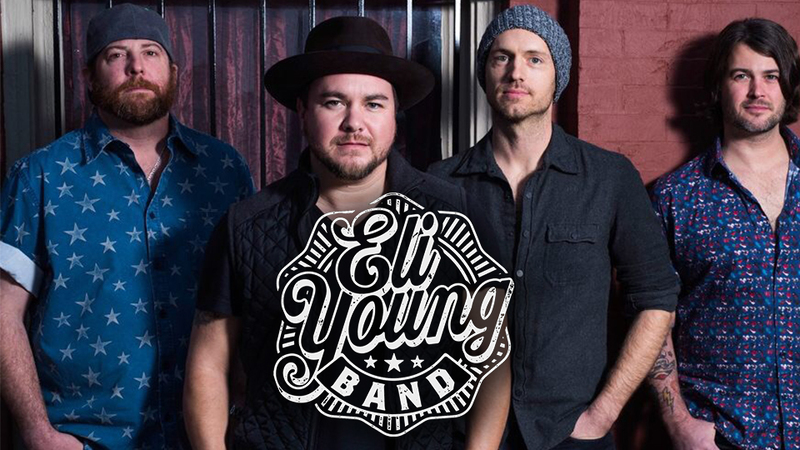 Eli Young Band will be joining an impressive list of country performers like Wade Bowen, Kevin Fowler, Jack Ingram, Robert Earl Keen and Jerry Jeff Walker that have taken the stage at The Wolff. One of the biggest names in modern Country music, Eli Young Band has produced three #1 singles ("Crazy Girl," "Even If It Breaks Your Heart" and "Drunk Last Night") that garnered Platinum and Multi-Platinum certifications and Grammy and CMA nominations. In 2012, "Crazy Girl" took home the trophy for ACM Song of the Year. Two other hits, "DUST" and "Always The Love Songs" were Gold Certified singles. Eli started the band with guitarist James Young, bassist Jon Jones and drummer Chris Thompson at the University of North Texas in 2000. The band's music has been featured on ABC's "Nashville" and CW Network's "Hart of Dixie". Eli Young Band has also made national TV appearances on TODAY, The Late Show with David Letterman, Late Night with Jimmy Fallon and Jimmy Kimmel Live! The Missions will face the Northwest Arkansas Naturals (Kansas City Royals AA) on July 4 with first pitch slated for 5:05 PM. Eli Young Band will take the stage approximately 30 minutes after the game. Following the concert, Missions fans will be treated to the best fireworks show in town. Individual tickets for the July 4 game will go on sale Monday, March 19. However, 2018 season ticket packages from full season to 13-game mini plans include the Fourth of July game and can be purchased now by calling 210-675-7275.